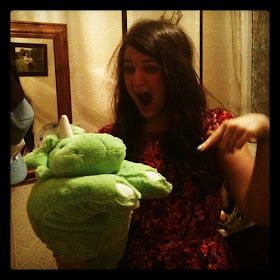 t*rexes and tiaras: Dreams floating away into the maze.. 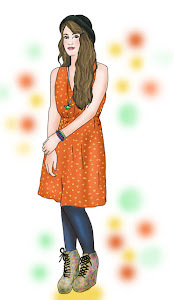 So, after making a list of what shoes I still needed to wear to complete my #irregularchoicechallenge, I knew I needed to start creating some outfits for them. One of the pairs I'd not worn for the challenge, and in fact had never worn since buying them last year, was this one. Got the Hump. 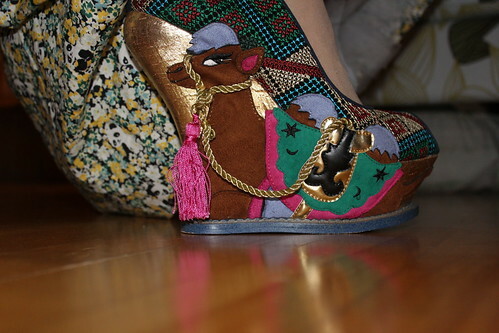 Wedges with camels on them. 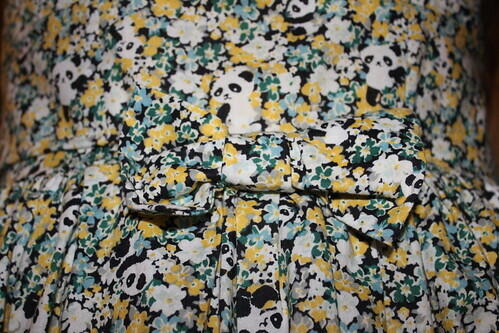 Much to the amusment of the others there, I wore them to a party on Sunday, along with my panda print dress. 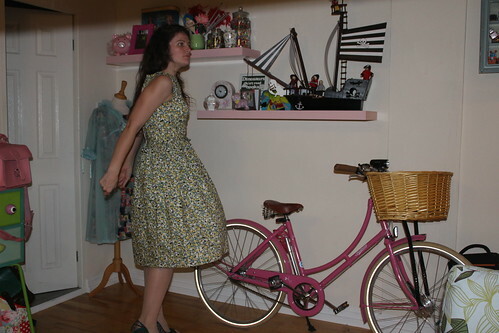 I wore a petticoat underneath and felt the size of a house for most of the day, but sort of enjoyed the swooshiness. I also didn't really wear this coat; it's one which had been in my Instagram clothes sale and I just tried it on for someone who wanted some photos of it. It was almost a perfect match for this dress, though, hence how it made it into one of my pictures here. Pandas and camels. They seem an unlikely combination, but anything goes in my world. #wardrobezoo forever. 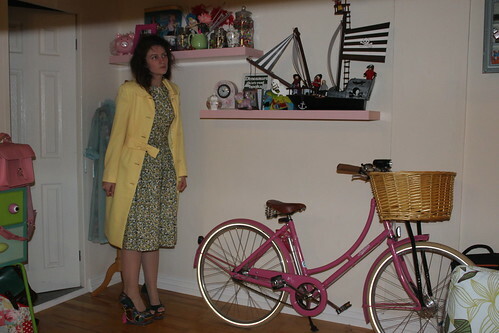 I love the coat - a perfect length for the dress. The shoes though, wow! Now I'm reconsidering getting rid of the coat. I've never really got into wedges but I do think they are cute! Thanks! I find them so comfy and sturdy! I love mixing my animals. Do you have the floral/panda Can't Touch This heels too? I loved those shoes but missed them...almost identical to your dress fabric. Lovely outfit. I do, but not in the same colour - I tried to track down some matching fabric for the ones I have, but no luck. Also, on the sale shelf in Carnaby St last weekend they had a pair of the Can't Touch This in a purple panda fabric, which I'm sad I never found in my size at the time! So random but I love them! Thanks - I'm starting to think maybe I should hang onto the coat after all! I really love the level of detail on them!